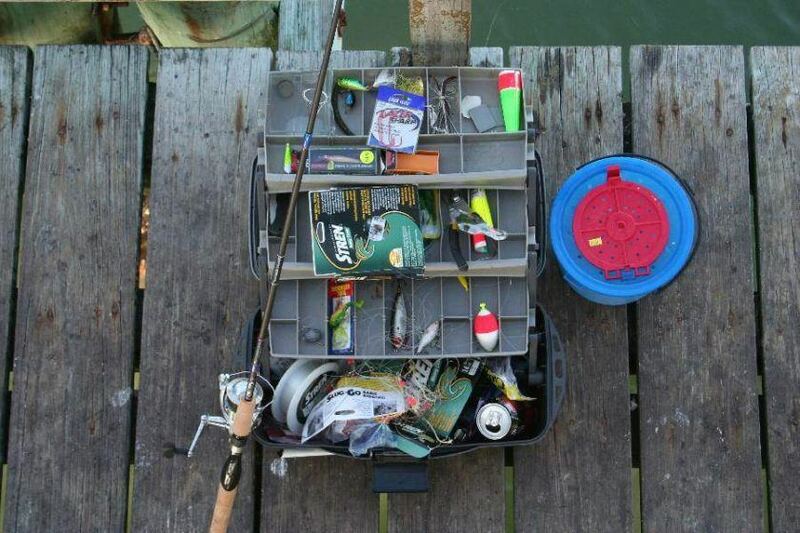 5 tackle box must-haves for your next fishing trip! Needle nose pliers, or even a multi-tool, will become your best friend when on the water. Whether you are catching fish, or having an off day rotating through different bait set ups, this tool will save you lots of frustration, sore fingertips, and bitten fingers. Needle nose pliers are handy when it comes to assembling your fishing set up. 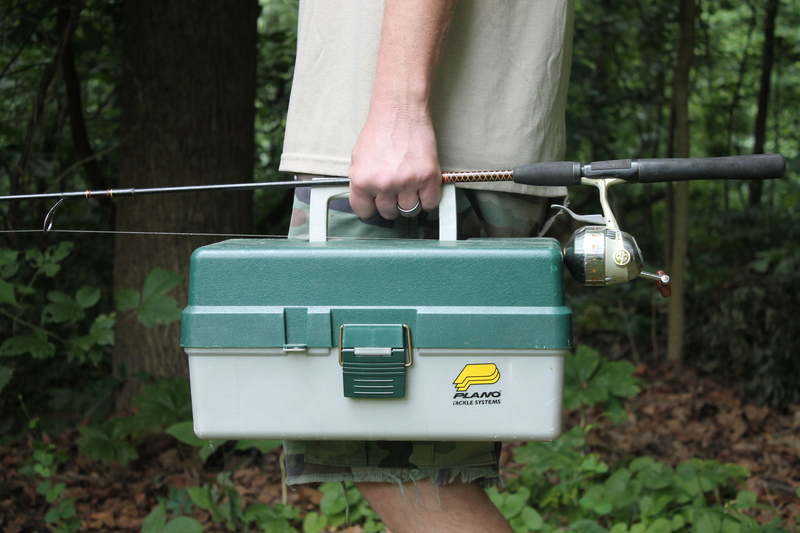 As a tackle box necessity, they will help you squeeze on your split shot weights. Without the ability to tighten the shot on your line, weight movement up and down the line on a cast is likely. In addition, needle nose pliers are also a beneficial addition when handling small hooks becomes burdensome to the naked fingers. Finally, and likely most importantly, a solid set of needle nose pliers are paramount for de-hooking your fresh catch. The deeper down the hook is swallowed, the more difficult it is to retrieve from the mouth of the fish. Not only does it make the task easier for you, but for the fish as well. Plus, should you get a fish that likes to bite, needle nose pliers are your only option for safely removing the hook. Fishing is supposed to be good for you. It allows you to destress, get outdoors in fresh air, and find physical exercise through hiking or walking to your favorite fishing hole. It frees you from the day to day stressors of life. So, why turn it into an unhealthy outing by scorching yourself in the sun for hours on end. Chances are, at some point in the day, you will be basking in direct sunlight for an extended period of time. 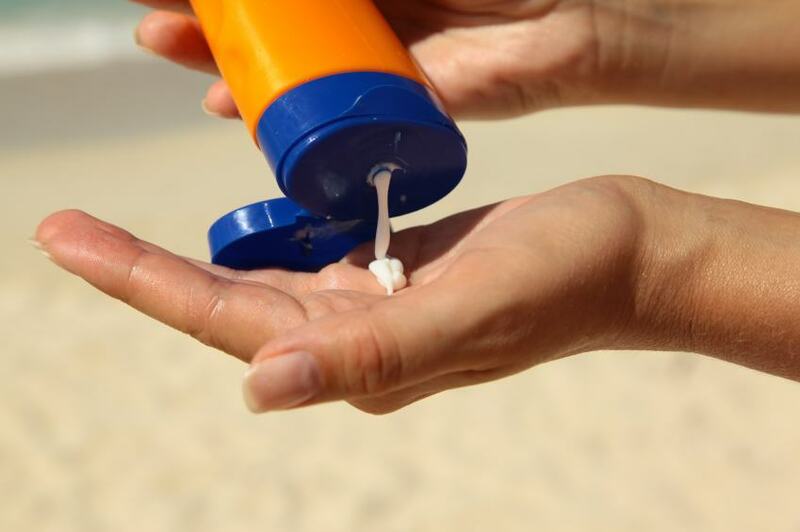 Take care for yourself and lather your skin in sunscreen… and reapply often. The last thing you want is to walk away from a day of fishing looking like a lobster and in pain from the burn. You likely won’t remember to apply the sunscreen before you head out to the local water, so keep a bottle in your tackle box for guaranteed access. Similarly, as you repel the UV rays of the sun, one of your tackle box necessities needs to be some sort of pest or insect repellant. As you spend hours by the water, it is a near certainty that you will have some pesky visitors, whether flies, gnats, or mosquitos. Don’t let these pests ruin a great day of fishing. Carry repellant in your tackle box and have your armory within arm’s reach at all times. There is no other better way to ruin a fishing trip than running into the long arm of the law… and being guilty of bagging an illegal catch. As a confusingly regulated sport, fishing opens one up to honest mistakes very easily. Don’t blunder and get yourself in legal hot water. Know with certainty that the catch you are keeping is of legal size. Carry a ruler, or other measuring device, in your tackle box for a quick and surefire measurement to confirm the validity of your fish. Rest assured, the cost of a cheap tape measure or plastic ruler will be minimal compared to the legal consequences of keeping an illegal fish, whether the punishment be a small fine, or loss of fishing privileges. It much less stress to carry a ruler than to fight the battles in court. Like the needle nose pliers, a line cutting device is a tackle box necessity no-brainer. Not having either a knife, scissors, or fingernail clippers will put a quick end to your fishing expedition. A resource that will be used frequently and often, and will save an angler lots of trouble, a line cutter must be in your possession when fishing. Line cutters are used for many reasons, most obviously to cut line when you end up snagged on a log or rock in the water. However, they are also resourceful when you need to set up your bait, reline your reel, or when you have a deep-rooted hook in a fish’s mouth. 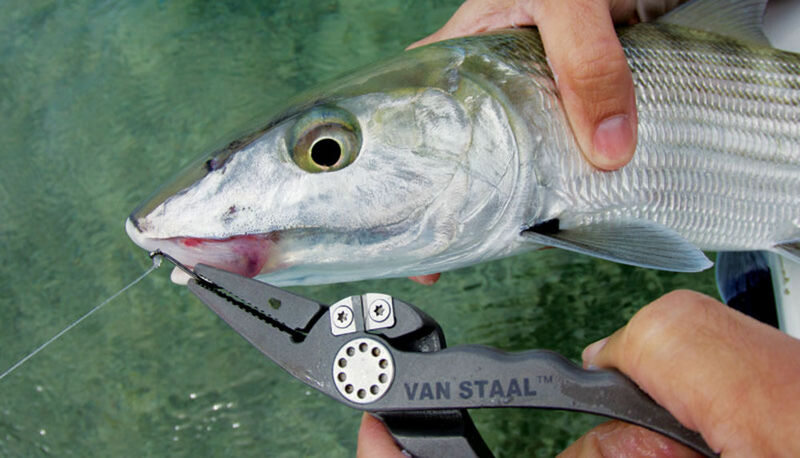 When you can’t safely de-hook at catch, especially if you are planning on catching and releasing, you must have a tool to cut the line as close to the fish’s mouth as possible… and your teeth are not a smart or comfortable alternative. Of all the devices, fingernail clippers are most likely the safest choice. Both scissors and knifes present sharp and dangerous points in which you must work while on unstable ground and in a hurry. Fingernail clippers are also easier to transport and stow away when not in use compared to most pairs of scissors and many knives. The earlier in the day you start catching the fish is often a sign of how great of a day it will be fishing. However, if you come unprepared, your stay may be cut short to keep your early catch fresh and safe for the dinner table. To make sure you keep on fishing throughout the day, keep your catch underwater and fresh until you are ready to go home by having a fish stringer in your tackle box at all times. Stringers, which allow you to tie up your catch and keep them in the water throughout the day, can come in many different materials, including chain, rope, or nylon. Simply attach your fish to the stringer and re-submerge them in the water to keep them healthy until you are ready to clean them or take them home. Gloves – Always have a pair of gloves with your fishing equipment. You will need them to safely handle fish, especially if you are catching and releasing. They also make removing hooks much easier and safer when coming across the biters. In cold weather, gloves will also help you keep a couple degrees of warmth in your finger. Extra Hooks – Always carry replacements hooks, of variety of sizes, in your tackle box. Whether you lose one to the timber on the bottom of the water, or have to cut a fish loose cause the hook is too deep in the belly, you need to have a cache to resort to. Remember, size matters when it comes to hook size and the species of fish you are after. Extra Line – You never know when your line is going to twist, tangle, or knot; when you’re going to get it wrapped around a snag; or when the conditions of the water change. Always have a spool of line available in the event you must reload a reel or change size due to changing conditions. Taking the time to outfit your tackle box with these necessities will give you the opportunity to experience fishing in a more positive way. While you won’t see these on every list, they are the secret weapons to add to your arsenal.